Dusty’s Guitar has been on Coast Hwy. for over 38 years, having been founded by Dusty Wheeler in Leucadia Ca. in 1979. Dusty’s Guitar is one of the oldest guitar shops in San Diego county continuously owned and managed by the same family. 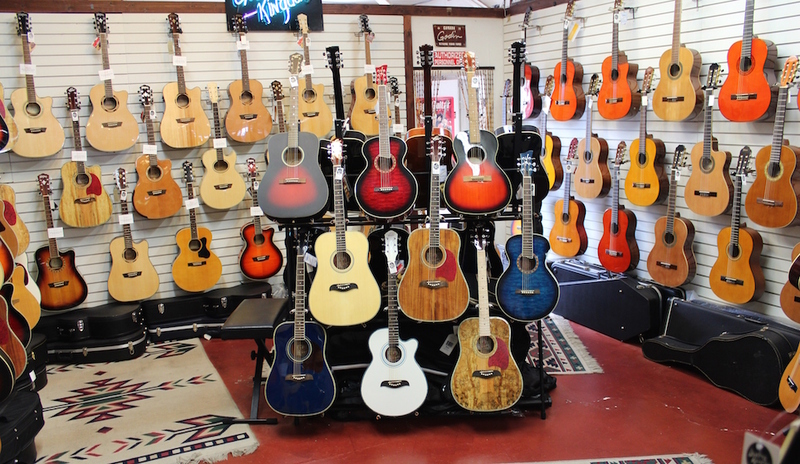 With over 300 guitars in stock, Dusty’s Guitar has one the largest inventories in North County. 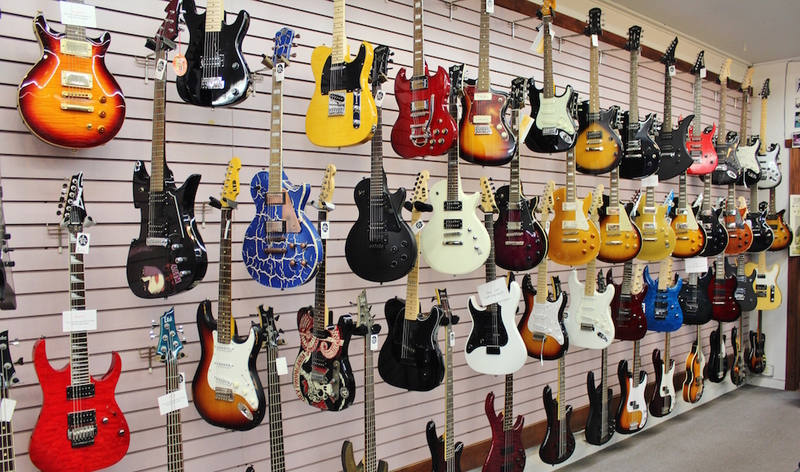 Come see our large showroom of over 300 guitars. 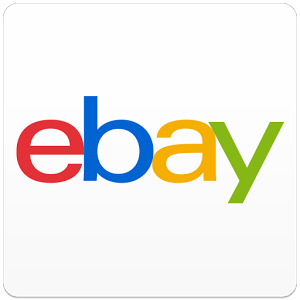 Whether you are looking for a classic Fender Stratocaster, a Gibson Les Paul or a hot rod shredding machine, we are sure to have a guitar for you! WE HAVE IT! Dusty’s stocks more guitar parts than most other shops. From pots and switches to fret wire and trem arms! 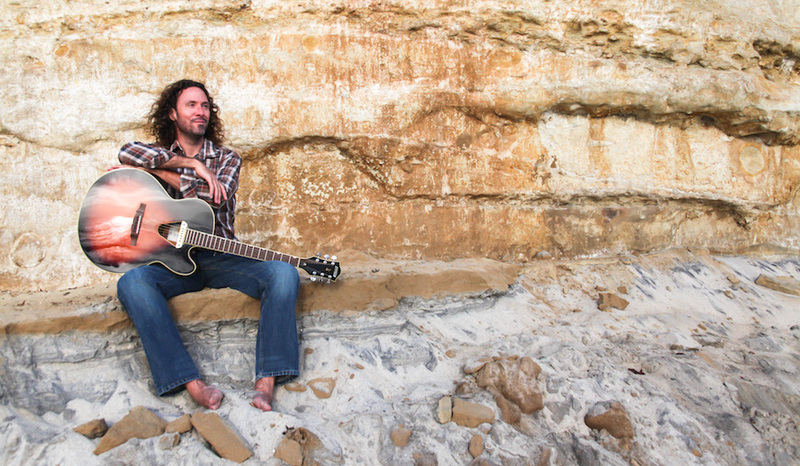 Dusty’s Guitar is proud to offer the finest in lessons for a variety of instruments and styles. All lessons are done in our wi-fi equipped studio located here at the shop. 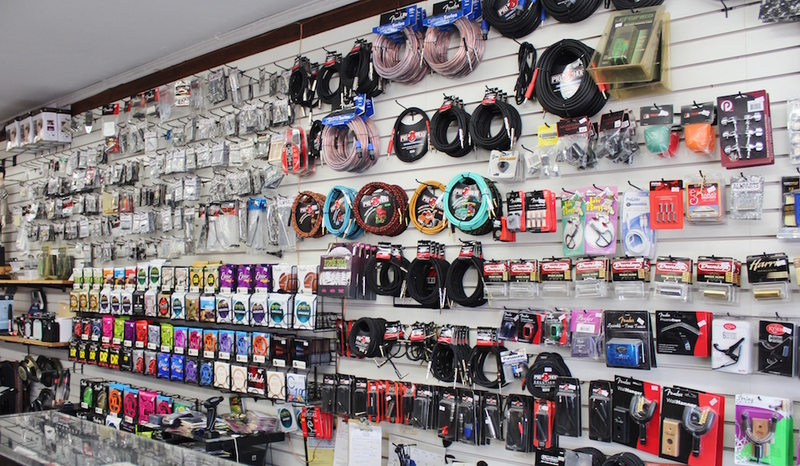 Look no further for the finest in guitar or amplifier repair! 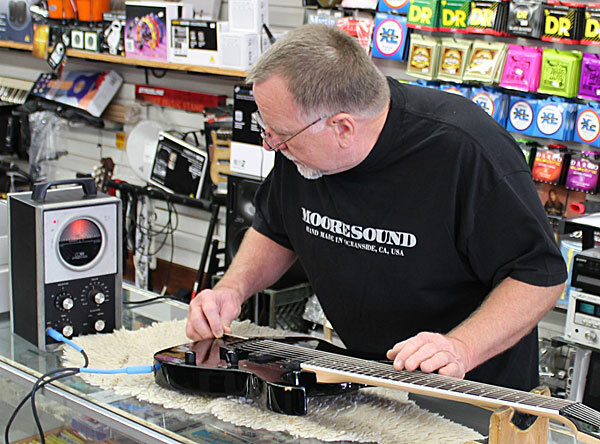 With over 35 years experience, Dusty is the man to see for any guitar problem! Greg Douglass tears up the Hound Dog Taylor model!